"O R O M O C T O" Before the white man arrived Oromocto was used by the First Nations as a camping and burial ground. 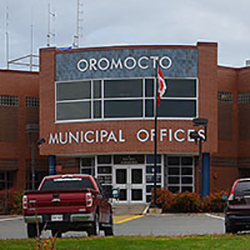 The word Oromocto has its origin from the aboriginal word WEL—A—MOOK—TOOK. Its meaning has several versions but the most commonly known are deep river or good river for navigation by canoe. 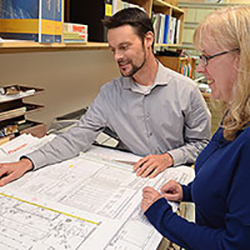 From the day of the Town’s inception it was agreed between both the Provincial and Federal governments that the Town’s government would be a custodian type government only until the Town became self sufficient. 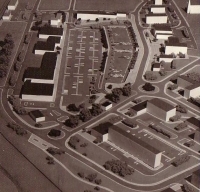 Oromocto was to be a distinctive urban entity satisfying both military and civilian needs. Its Town centre was to be separated from military influence and to become the focus of the Town and a counterbalance to military predominance. 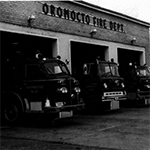 The growth of Oromocto from a small village of 150 people to its present size is directly related to the development of CFBGagetown as a military training establishment. Planning for this camp was started in 1952, as a result of the decision to expand the Regular Army to meet NATO commitments. 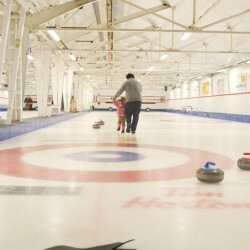 The federal government selected Oromocto as the site to establish the largest training establishment in the Commonwealth. 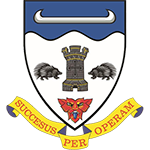 Designed by Mr. Robert Pichette, the Oromocto Coat of Arms was presented by Lieutenant Governor Wallace Bird to Mayor Lloyd Watling at a ceremony held at the Base Theatre on 24 May 1971. 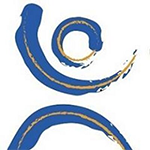 Represents the St John & Oromocto Rivers which were used by the Indian people and early settlers. 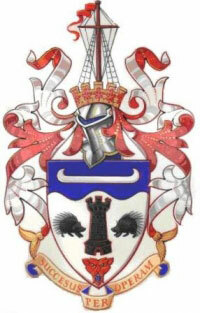 Symbolizes the British and Military influence. Represents the early military history and the first families to settle in the area. 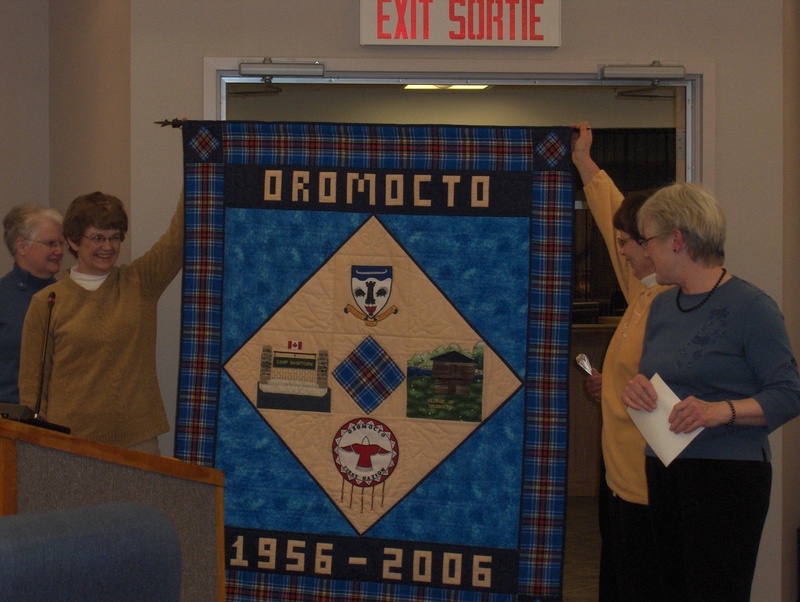 The Oromocto Quilters in 2006 presented a tapestry to Mayor Fay Tidd on the occassion of the Town's 50th Anniversary. This quilt is currently on display in the front stairwell at the Municipal Building. Did You Know? Sgt J Montminy composed and arranged a song for the newly formed Town of Oromocto entitled “This Model Town”.